Jefferson County was the epicenter of last Tuesday’s electoral earthquake in Colorado. Democrats successfully parlayed broad dissatisfaction with Republican leadership in Washington, DC, into historic gains at the state level. 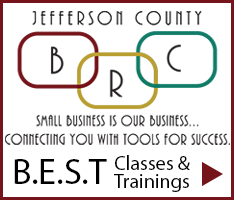 The Jefferson County Business Lobby has been closely following races state-wide and wanted to get you this brief summary of the election results and what it means for Jefferson County’s business community. Voter turnout in 2018 was about 25% greater than in the last midterm election of 2016. An energized Democratic base turned out and record levels of Unaffiliated voters (who surpassed both Democrats and Republicans for the first time) broke decisively for the Democrats. While the story of the Democratic “Blue Wave” may be more mixed at the national level, there can be no doubt that wave hit Colorado. Governor-Elect Jared Polis and fellow Democrats won both branches of the State Legislature and all state-wide offices. The last time that happened was in 1936. Here in Jefferson County, voters were bombarded by campaign advertising from three of the four most contested state legislative races in the state. The outcome of those elections determined control of the State Legislature, which had been under split partisan control for the last four years. Strong campaigns from State Rep. Brittany Petterson (D-Lakewood) and State Rep. Jessie Danielson (D-Golden), along with Conifer resident Tammy Story prevailed over well-funded Republican candidates – and by wide margins. While most were focused on the State Senate races, the Blue Wave also propelled two former Republican JeffCo seats in the Democratic column. Brianna Titone edged out Vicki Pyne for a vacant Arvada House seat, while Lisa Cutter won another open seat in Evergreen. All told – pending ongoing recounts – House Democrats appear to have expanded their majority to 41 Democrat to 24 Republican seats. While it was a great night for Democratic candidates in Colorado, interestingly, voters decisively rejected several ballot issues backed by center-left constituencies. A progressive income tax for education funding and severe restrictions on oil and gas development were both soundly defeated. Meanwhile, voters also rejected two competing and very different proposals to inject more funding into Colorado’s roads, sending a mixed signal on what voters would like done about one of our state’s most pressing needs. Some of the most influential legislators at the Capitol serve JeffCo districts, like House Business Affairs Committee Chair Tracy Kraft-Tharp (D-Arvada) and Senator Rachel Zenzinger, newly appointed to the Joint Budget Committee. The JCBL will be continuing to communicate to them, and all of our delegation, the priorities of JeffCo businesses as important bills come up in 2019.